Oscar Blazer 1196 is a shirt/Blazer style with two waist pockets and one chest pocket. This one is made in 100% linen. A) Chest - Measure the Chest under the armpit straight to the other armpit. 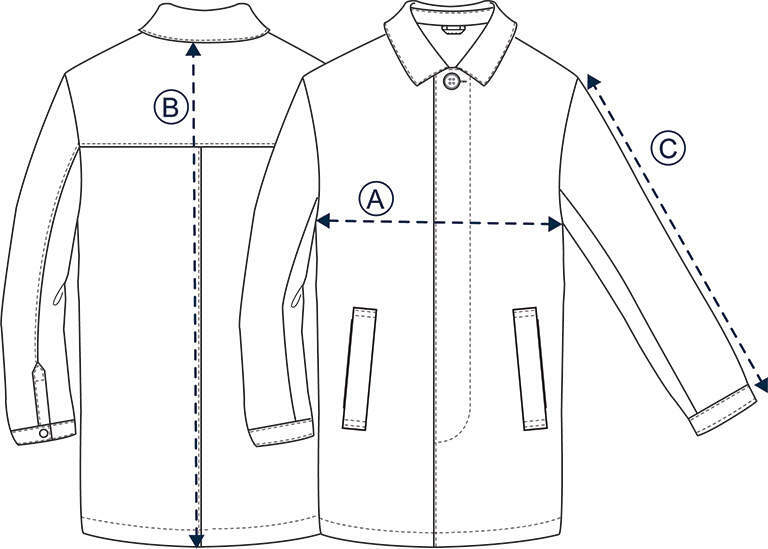 For around chest measurement, double the chest value of our chart: Size M = 2 x 55,7 = 111,4 cm.